Full Flavored and Savory, medium spicy. BBQ makes chicken wings taste better! This is a full-flavored and savory seasoning with a medium level of heat from cayenne and black peppers. 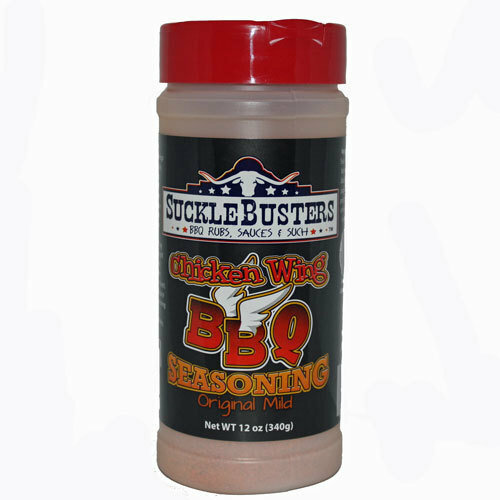 Take your chicken wings to a whole 'nutha level with SuckleBusters BBQ Chicken Wing Seasoning. All natural, No MGS. Naturally Gluten free. Recipe on the package.